In the Climate One video clip Trevor Houser, a partner in the Rhodium Group and climate negotiator at the 2009 COP15 climate conference in Copenhagen discusses a “middle road” for natural gas. Despite the good news that at the end of 2012 US carbon emissions were down 12 percent relative to 2005, there remains a long road to sustainable and sufficient emissions reductions to meet the goals scientists increasingly warn is required to avoid the worst consequences of climate change. The main reason for the rapid decline of emissions, as Houser explains in the video, was due to the collapse of the economy. But the carbon intensity of energy has declined as well. The two major players for this is the increased use of natural gas combined with the growth of renewable energy. What isn’t yet fully understood is the amount of methane leakage from fracking. Current EPA estimates still put natural gas as a much better source of energy than coal, in terms of climate impact. But the jury is still out. 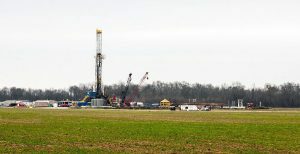 Many believe that EPA estimates on methane leakage from natural gas fracking is too conservative. If this bears out, the case for natural gas is not so pretty. But Houser explains that the real wildcard with the “fracking boom” is what’s known as the “rebound effect.” When natural gas got a lot cheaper, a lot more of it was used, and not just in the power sector but in other parts of the economy as well. For Houser, the fracking boom is neither as good as the industry claims, nor as bad as many environmentalists warn.